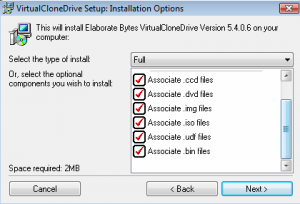 Virtual CloneDrive is a free software to clone CD/DVD drive to mount images of CDs and DVD. Normally, if you have a CD or DVD image, you need to burn it to a disc, and then run it using your CD/DVD player. Virtual CloneDrive removes need for that. If you have Virtual CloneDrive installed, you can just click on an image, and it will immediately mount as if you had put a CD or DVD in your drive. 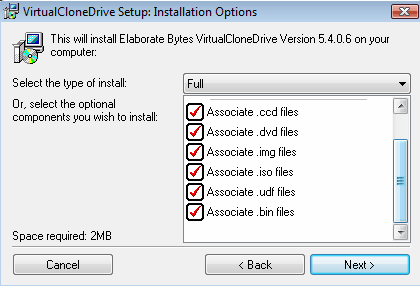 If you need to mount an ISO image, Virtual CloneDrive will get the job done quickly, and easily. If you need to create virtual Blu-Ray drive, try Daemon Tools Lite.